Librarians specializing in the humanities and social sciences have assisted over 600 students so far this quarter and we are ready to help you with your end-of-the-quarter assignments. 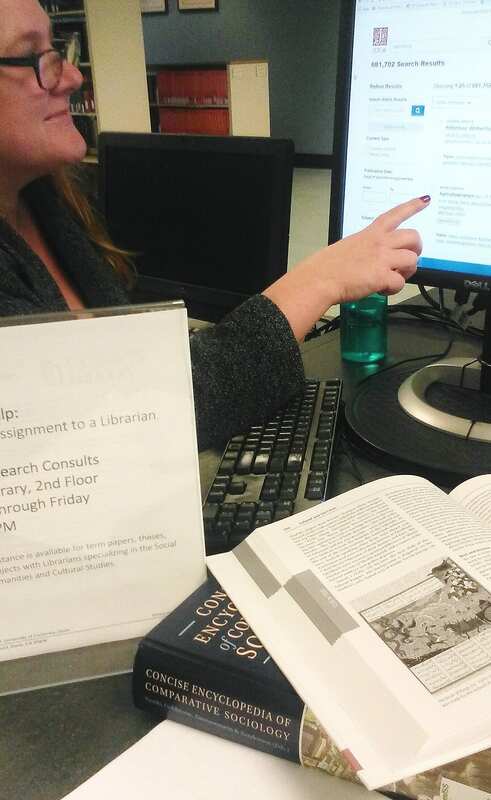 As the Fall Quarter winds down and assignments and term paper deadlines approach, meet with a librarian to make sure you are getting the sources you need for your coursework. Writing quality papers requires sound research skills. We can help you navigate our vast scholarly collections and match the best resources to the demands of your assignments.